“I went to school this morning like every day before. You’ll never guess what happened to me as I walked through the door. Well a girl came up and pinched me. Why would she be so mean? She laughed and said, ‘It’s St. Patrick’s Day; you forgot to wear your green’. Rabbit marked the days on his calendar until St. Patrick’s Day. With March approaching, he needed to prepare for the St. Patrick’s Day parade. He got out his packet of shamrock seeds, found a yellow pot and planted them. After taking good care of his plants, the green leaves grew just in time for St. Patrick’s Day. Tomorrow was the day Rabbit would pick the shamrocks to make his chain to wear for the parade. “But when he got up in the morning, his yellow pot of green shamrocks was gone. 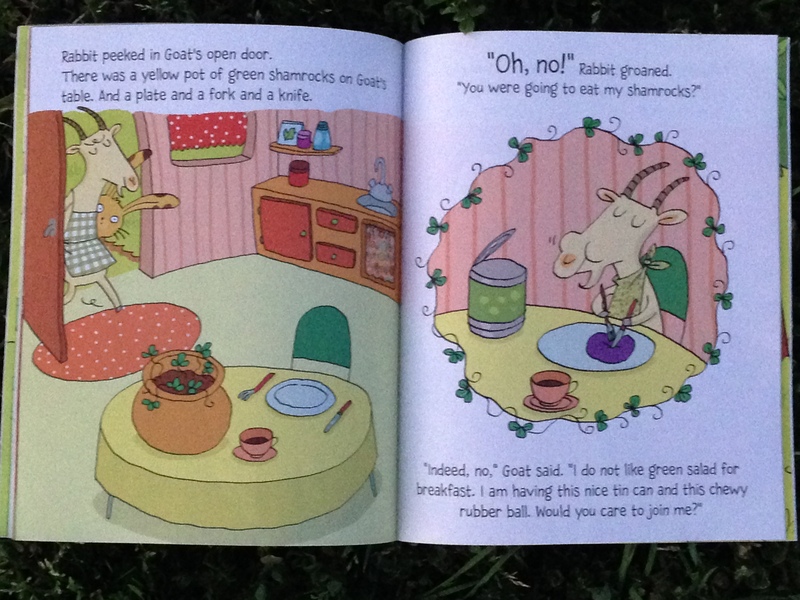 Rabbit ran to squirrel, then woodchuck, and finally to goat asking them if they took his yellow pot of shamrocks. Although Goat didn’t “take” them, the yellow pot sat on his kitchen table. “The wind gave them to me,” declared Goat. Worried that Goat would eat the shamrocks, Rabbit quickly claimed them. Goat agreed to give him the plants if he could keep the yellow pot. They made a deal. 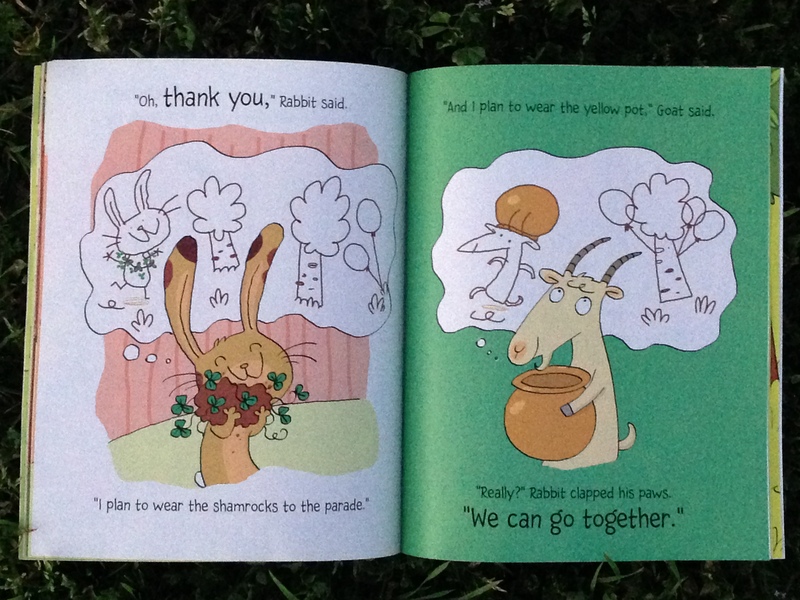 Rabbit made his shamrock chain and Goat wore the yellow pot as a hat and off they went together to the parade! 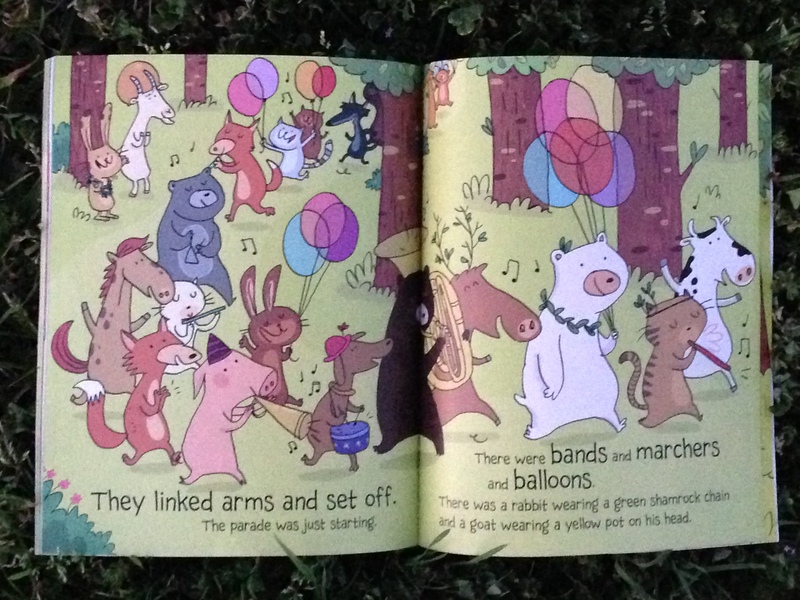 They met their friends and joined right in the fun of the bands, marchers and balloons. Select from the questions and activities below . . .
F- How do you feel when you lose something you really like? 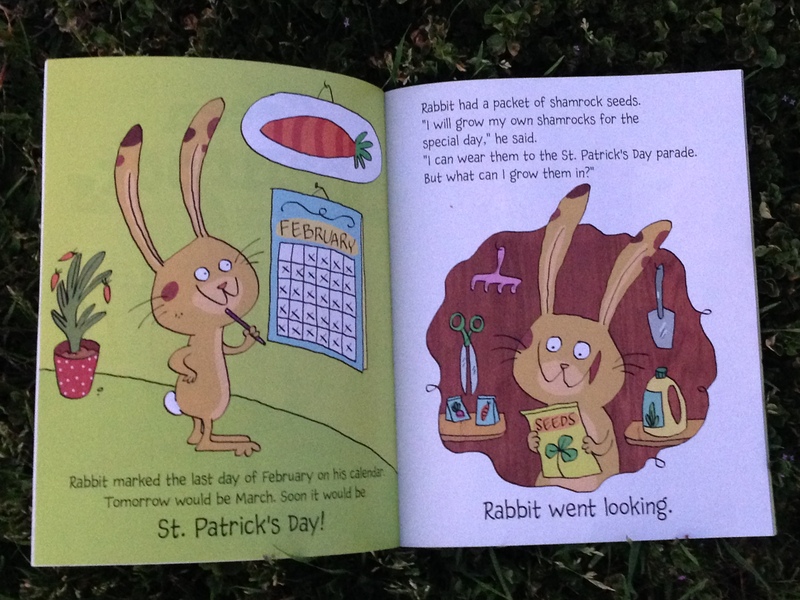 R- Can you relate to Rabbit when he went searching for his lost yellow pot of shamrocks? What did you lose and how did you find it? I- Imagine you get to be in a St. Patrick’s Day parade and can make something green to wear. What would you want to wear? 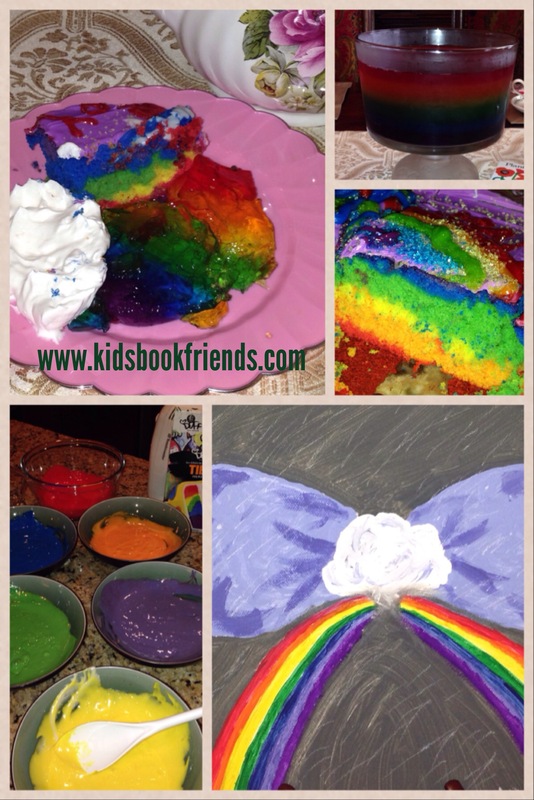 E- Explore fun foods for St. Patrick’s Day like *RAINBOW JELL-O or RAINBOW CAKE. If you don’t have time to make a treat, go for a bowl of Lucky Charms cereal! *RAINBOW JELL-O: Purchase one small box of Jell-O mix in these colors: red, orange, yellow, green, blue, and purple. 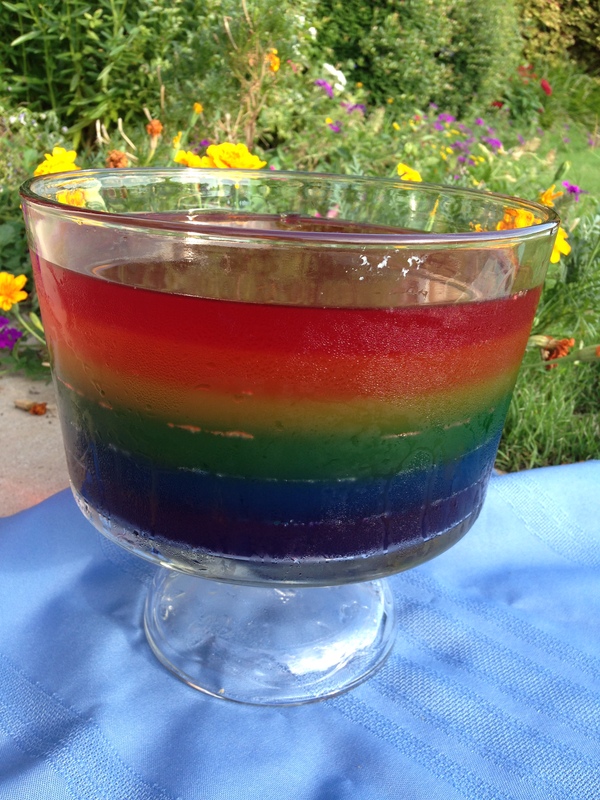 Serve in a glass container so all the colors can be easily seen. Start with purple at the bottom. Make mix and refrigerate for 2 hours. Add next color. When serving, add cool whip or whipped topping for the clouds. Maybe even include a few yellow round sprinkles for the gold! Blog: Subscribe to http://www.kidsbookfriends.com for free, kid-friendly book guides including correlating questions, crafts, and activities to great kids’ books. 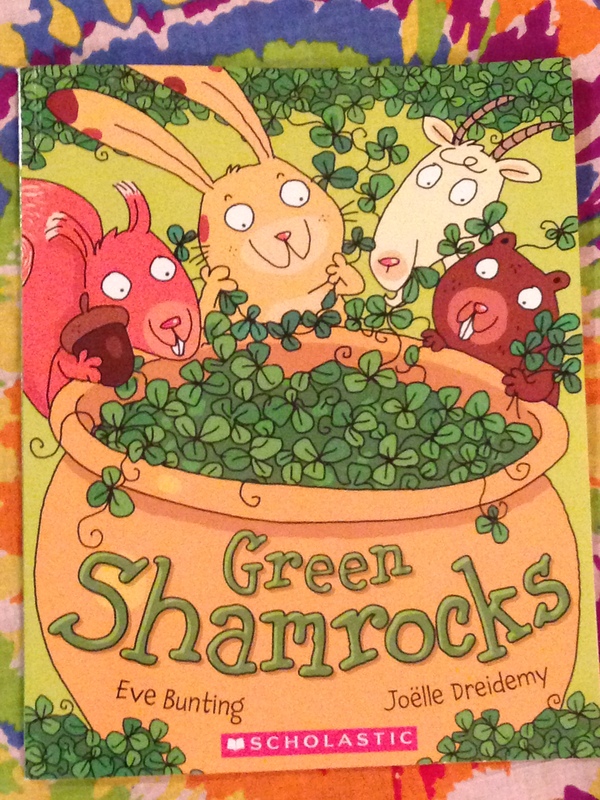 This entry was posted in holiday, St. Patrick's Day and tagged children's books for St. Patrick's Day, Eve Bunting, Green Shamrocks, Joelle Dreidemy, Scholastic, Shamrock chain, St. Patrick's Day books for kids, St. Patrick's Day crafts, St. Patrick's Day songs. Bookmark the permalink. 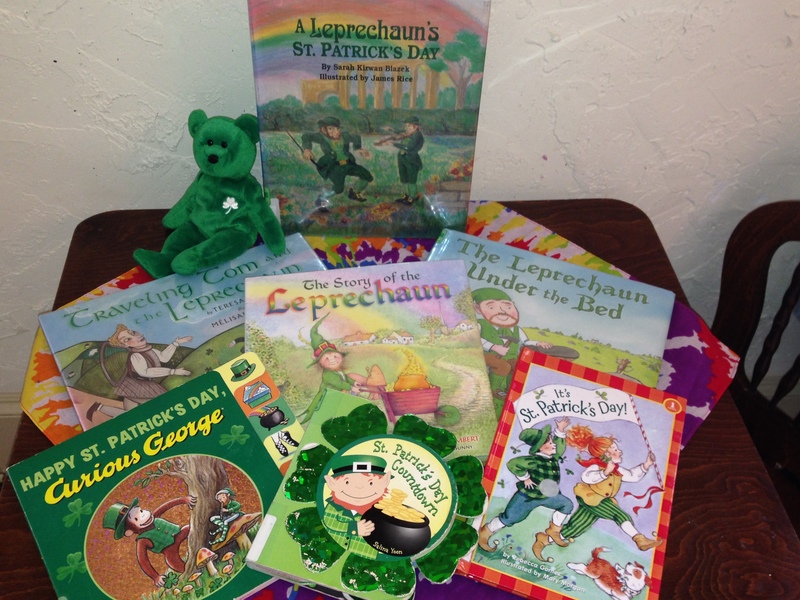 And don’t forget to read The Night Before St. Patrick’s Day too! There’s a very tricky leprechaun in it.